There’s an adage that the journey is more important than the destination. 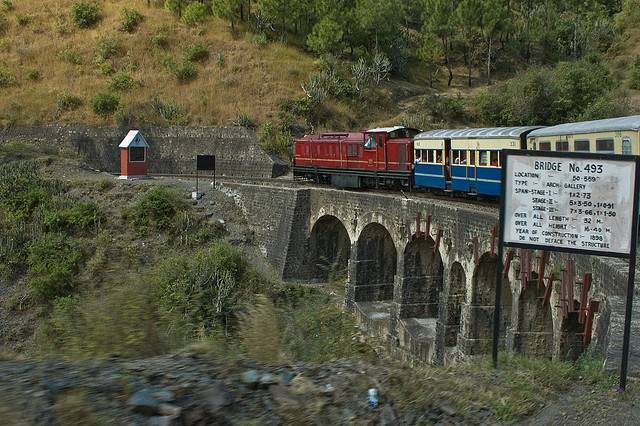 That’s even truer if you take the toy train from Kalka to Shimla. The train turns and winds through oak trees, wild pomegranates, past bridges and springs. As you get higher the air gets cooler and the majesty of the Himalaya reveals itself turn by turn. This journey takes twice as long as the bus, but when else do you get the opportunity to wind on a slow train through the still standing mountains?